Ezio Biglieri is currently professor of electrical engineering at Politecnico di Torino. He has been an IEEE fellow since 1989, and is a recognized expert in the field of digital communications. He received his Dr. Engr. degree in 1967 from Politecnico di Torino (Italy), and became Professor at University of Napoli in 1975. Since then he has been Professor at Politecnico di Torino (current position), University of California, as well as regular visitor to prestigious labs and universities such as the Bell Labs, UCLA, or Princeton. He was President of the IEEE Information Theory Society in 1999, is a Distinguished Lecturer for the IEEE Information Theory Society and the IEEE Communications Society and has served as Editor for IEEE journals. He received prestigious awards, in particular the IEEE Third-Millennium Medal in 2000, and the ‘Journal of Communications and Networks Best Paper Award’ in 2004. His latest book, Coding for Wireless Channels, was published by Springer in 2005. Andrea Goldsmith is a professor of Electrical Engineering at Stanford University, and was previously an assistant professor of Electrical Engineering at Caltech. While on leave from Stanford, she founded Quantenna Communications, Inc. and served as its CTO, and she has held other industry positions at Maxim Technologies, Memorylink Corporation, and AT&T Bell Laboratories. Dr. Goldsmith is a Fellow of the IEEE and of Stanford, and she has received several awards for her work, including the IEEE Communications Society and Information Theory Society joint paper award, the National Academy of Engineering Gilbreth Lecture Award, the IEEE Wireless Communications Technical Committee Recognition Award, the Alfred P. Sloan Fellowship, and the Silicon Valley/San Jose Business Journal’s Women of Influence Award. She currently serves on the Steering Committee for the Transactions on Wireless Communications, and as Editor for the Journal on Foundations and Trends in Communications and Information Theory and in Networks. She was previously an editor for the IEEE Transactions on Information Theory, the IEEE Transactions on Communications, and for the IEEE Wireless Communications Magazine. Dr. Goldsmith has served on the Board of Governors and as a Distinguished Lecturer for both the IEEE Information Theory and Communications Societies. She also served as President of the Information Theory Society and founded its Student Committee. At Stanford she received the inaugural University Postdoc Mentoring Award, served as Chair of its Faculty Senate, and currently serves on its Budget Group. Dr. Goldsmith has authored the book “Wireless Communications” and co-authored the book “MIMO Wireless Communications,” both published by Cambridge University Press. Her research includes work on wireless information and communication theory, MIMO systems and multihop networks, cognitive radios, sensor networks, “green” wireless system design, and applications of communications and signal processing to neuroscience. 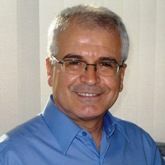 Hikmet Sari is a world-renowned expert in the field of wireless communications. He has published over 250 journal and conference papers, holds over 40 European and US patents, and has given numerous invited talks in Europe, North America, Asia-Pacific, and Latin America. 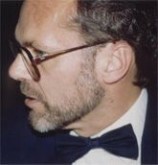 His distinctions include election to the IEEE Fellow grade in 1995, the André Blondel Medal also in 1995, the Edwin H. Armstrong Achievement Award in 2003, the Harold Sobol Award in 2012, and election to Academia Europaea (the Academy of Europe) and to the Science Academy of Turkey in 2012. He served as Editor or Guest Editor for several international journals including the IEEE Transactions on Communications, IEEE Journal on Selected Areas in Communications, and IEEE Communications Letters. He also served as Technical Program Chair, General Chair, or Executive Chair at numerous flagship and major conferences of the IEEE including ICC 2004 (Paris), ICC 2006 (Istanbul), PIMRC 2010 (Istanbul), WCNC 2012 (Paris), WCNC 2014 (Istanbul), ICUWB 2014 (Paris), BlackSeaCom 2015 (Constanta, Romania), ICC 2016 (Kuala Lumpur), and ATC 2016 (Hanoi). From 1980 to 2002, he held research and management positions at Philips, SAT (SAGEM Group), Alcatel, Pacific Broadband Communications, and Juniper Networks. In 2003, he joined SUPELEC, where took the position of Professor and Head of the Telecommunications Department, and in parallel with this academic position, he also joined Sequans Communications in 2004 as Chief Scientist. Dr. Denis Berlan, a former Executive Vice President and Chief Operating Officer of Altera Corporation. He was previously employed by Advanced Micro Devices, Inc., or AMD, a semiconductor manufacturer and by Lattice Semiconductor Corporation, a semiconductor manufacturer, in engineering management capacities. He received his M.S.E.E. in 1972 and Ph.D. in 1977 from the University of Grenoble in France and an M.B.A. in 1987 from the University of Santa Clara.